My Relacore Review: Weight Loss Miracle or Waste of Money? You are here: Home / Blog / My Relacore Review: Weight Loss Miracle or Waste of Money? If you listen to the marketing, Relacore is a powerful system for weight loss. Specifically, it is designed to fight belly fat, partly by targeting stress and anxiety. So, in many ways, the product ends up being a ‘feel good’ supplement for weight loss. That’s precisely what this Relacore review looks at. To answer that question, I took a detailed look at the Relacore products, along with the science behind them and the experiences of actual customers. Relacore comes from the Carter-Reed Company and is apparently an incredibly popular pill for weight loss. Certainly, the company has no problem playing on its hype, making the pill sound like it is amazing. The theory behind the concept is that belly fat is, at least in part, connected to stress. So, if you can reduce stress you can potentially reduce belly fat too. And, that’s precisely what this supplement system is supposed to do. Now, there are actually a number of different Relacore products but we’re specifically interested in the ones that promote weight loss. Additionally, the company also offers this system. Basically, the ‘system’ is just two supplements in one box. The first is the Relacore Extra from above, while the other one is Relacore Fat Burner, which the company doesn’t offer much information about. The claims sound great but they are also fairly generic. This Relacore review will focus on the fat burning system itself, primarily because this contains the two products that are supposed to help with weight loss. You can find Relacore on Amazon but the main place to buy it seems to be the website itself. There are a few different prices, depending on specifically what you want and how you order. For example, with Relacore Extra, the base price is $29.99 but if you buy 2 you get 1 free. There is also a preferred customer plan, which gives you a lower price ($23.99) but means you get rebilled monthly. Not surprisingly, the Relacore System is more expensive, costing around $60. Although again, the price is decreased if you go for automatic billing and shipping. In both cases, you seem to be getting a supply that would last a month. So, the process would get expensive quickly. Let me make one thing clear. Diets and supplements that target belly fat are mostly myth. There are many effective ways to lose weight but we can’t really force our bodies to specifically lose one fat in one place over others. Realistically, the only way to ‘target’ belly fat is to do exercises that work on this area of the body, but even that is only partly successful. In particular, doing this just helps to tone the area somewhat but doesn't directly influence your belly fat. Certainly, there is no supplement that will specifically get rid of belly fat. Instead, the simple answer is that if you lose weight overall, you’ll lose it in the belly area too. As such, one of the biggest claims that Relacore makes is actually nothing but hype. In fact, Relacore doesn’t offer much information about how their product is supposed to work at all. One reason for this appears to be because of the FDA. Basically, the company used to specifically claim that the supplements blocked the hormone cortisol and doing so could help with weight loss and reducing belly fat (1). That’s a fairly bold claim, especially with no real proof – so, it’s no surprise that the company was told to stop. This is a key reason why the company’s advertising is so vague now. In fact, most of their marketing says that the various benefits all come from when the supplement is used ‘in conjunction with a sensible diet and exercise program’. Of course, that type of lifestyle would have the same benefits anyway. I mean, eating better and exercising more will improve your mood, fight fatigue, increase energy and reduce stress and anxiety. That’s pretty much a given. In theory, the supplements here are supposed to achieve this process ‘better’. But again, there is no evidence. In their marketing, the company does reference one study. That study showed that people on the diet lost an average of 15.6% body fat and 11.5 lbs, across a 12-week period. This sounds like a great outcome, but there are a couple of things to mention. First, the study used two groups, one on the supplement and one on a placebo. Both groups lost weight but the group on the Relacore system lost more. However, the company doesn’t say anything about how much the placebo group lost. All they say is that the difference was statistically significant. Statistical significance refers to the likelihood that an outcome occurred by chance (you can read more about it here) and the concept is an important one in research. But, an outcome can be statistically significant and still not mean anything practically. For example, in the right circumstances, a difference of 0.5 lbs across 12 weeks could be statistically significant. But, a difference like that wouldn’t mean much in terms of weight loss. For that matter, this is the only research they mention – and it doesn’t seem to even look at belly fat specifically. To make matters worse, the company doesn’t offer any information at all about what the study actually is, which is a concerning practice. I wasn’t able to find it by digging online either. If the study was truly as good as the company is implying, then it seems strange that they wouldn’t promote it as much as possible. To me, that suggests that the actual outcomes weren’t actually as good as those claims suggest. Besides that, a single study isn’t enough to prove anything. Yet, there isn’t any other research online and searches on scientific databases came up empty as well. Now, there has been some scientific discussion about the potential relationship between stress, cortisol and belly fat. In particular, one theory suggests that ‘fight’ and ‘flight’ stress responses have different impacts on the body, as does a ‘defeat’ response. That last pathway is thought to possibly contribute to fat creation, immune system suppression and promote visceral obesity (i.e. belly fat) (2). Likewise, there is some evidence that stress can contribute to weight gain (3,4,5). This latter concept isn’t too surprising. After all, many of us to tend to eat more when we’re stressed and we probably make less healthy choices as well. Realistically, most people would agree that chocolate seems to help with stress much better than a salad could ever hope to. But, this theory doesn’t mean that blocking cortisol would have an improved outcome. It also doesn’t prove that a supplement can help decrease stress anyway. In many ways, decreasing stress is about changing our external environment (if possible) and learning better techniques for coping with stress. Doing so is the best way to reduce the impacts of stress on our bodies and our behavior. At the same time, trying to actively block a hormone in order to reduce stress doesn’t seem like a particularly practical technique. After all, the human body is a complex system and compounds within it have more implications than we are aware of. As such, blocking any compound can easily have unintended outcomes. So, what does Relacore actually offer? In fact, the site doesn’t list its ingredients anywhere. That’s uncommon and may even be illegal. There aren’t even any good images of the box to figure out the ingredients that way. These ingredients are basically just various herbal extracts. There hasn’t been a lot of research done on any of them and in most cases, there isn’t even a strong connection to weight loss. In fact, there aren’t any ingredients commonly associated with weight loss. The only ingredient on there that doesn’t seem to be an herbal extract or powder is phosphatidylserine and this is a supplement, often made from soy and cabbage. However, it isn’t associated with weight loss. Again, this focuses on herbal extracts, although there is more evidence for some of these. In particular, green coffee bean extract and green tea extract are both common in weight loss supplements. For example, I’ve seen one or both of these used in products like Arbonne Weight Loss Program, Thrive Patches and Valentus Slim Roast Coffee. 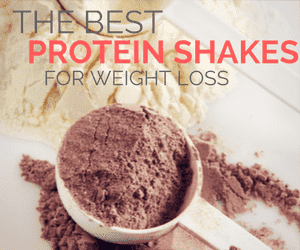 For both of these ingredients, there is some evidence of a role in weight loss, although that connection is fairly weak. For example, there are a few studies showing that green coffee bean extract may have a small impact on weight loss (7,8,9). But these have been few and far between. In fact, the main study used to prove that green coffee bean extract works was debunked and ultimately retracted. The site Science Based Pharmacy talks more about the popularity and hype that has surrounded green coffee beans. There is more evidence for green tea but this area is still debatable, with some studies finding an impact and others failing to find one (10,11). Besides, if you want health benefits from green tea, then you’re probably going to get more actually drinking the tea. One interesting ingredient choice is alpha lipoic acid (ALA). Now, this does have some health benefits but there isn’t much evidence linking it to weight loss. Plus, the recommended supplement dose for this is between 300 and 600 mg (12), which is more than you’re likely to get from the Relacore supplement. The final interesting ingredient is guarana. You see guarana pop up in supplements from time to time (like in Fit Tea) and also often in energy drinks. It is a stimulant and could possibly contribute to improved mood but any role in weight loss is likely to be minimal. There isn’t much research or evidence about the other ingredients. Some of them may be weakly connected to weight loss or mental improvements but that link is unlikely to be strong. Like many similar supplements, the basic concept seems to be to just include a range of natural ingredients that could possibly have some benefit. All-in-all, both supplements mostly rely on botanical ingredients that have little to no supporting evidence. In fact, the supplements contain relatively few ingredients that are associated with weight loss at all. In general, Relacore reviews are mixed. There seem to be some people out there that are happy with the products and their outcomes, while others simply aren’t. This can be seen by looking at the reviews on Amazon, along with those from other sites. For example, some people found that they didn't lose weight taking the supplement. Others found it to be effective. Some reviews are also odd. For example, people sometimes focus on the fact that they felt better, without ever stating that they lost weight. I find this mostly useless for information, especially as people often feel good because they expect to. For that matter, you should always take reviews for any dietary supplement with a grain of salt (so to speak). The placebo effect is particularly strong with this type of supplement. Likewise, some of the weight loss that people experience may have come from changes in their exercise and diet, rather than the supplement itself. That outcome isn’t too surprising, as people do often improve their lifestyle when they start taking a weight loss supplement, sometimes without even meaning to. In general, the various Relacore reviews are good enough to suggest that the product may work for some people. However, without a decent placebo-controlled study (one that is actually accessible), it really isn’t possible to be certain. Every supplement on the market has some potential for side effects, particularly as the supplement industry itself is largely unregulated. However, the concerns about Relacore side effects are particularly significant. One surprising side effect is weight gain. Although often underreported, this type of side effect is common with weight loss supplements. Typically, it isn’t caused by the supplement itself. Instead, weight gain happens because people expect too much from the supplement. As such, they may tend to be more lax on their diets and likely to consume more calories - because they assume the supplement will help keep their weight in check. The practice is sometimes called compensation and a similar pattern happens with multivitamin supplements and unhealthy behavior. An article at The Cut goes into this pattern in detail. With all the marketing, such an idea isn’t too surprising. Beyond this, there have also been other reported side effects, including nausea, changes to blood pressure, dizziness, migraines and insomnia. Like many weight loss supplements, Relacore is essentially a collection of different medicinal herbs and ingredients that are supposed to help with weight loss. Yet, there is little evidence that they actually do. People often end up taking this type of supplement on the off chance that it works. That really isn’t a good idea. Medicinal herbs are nowhere near as safe as companies imply. For one thing, the testing and research into these is often limited. Additionally, any research isn’t going to consider all possible combinations of herbs and medications. Indeed, most research just looks at single herbs in isolation – even though people normally take them in complex supplements like these. With the potential for interaction, it’s no surprise that many people do experience side effects. Realistically, you should talk to your physician before you even attempt to take Relacore. For that matter, it’s worth having your physician keep an eye on your health while you are taking it. That way, you can know about any issues early on and protect yourself from serious side effects. Finally, it’s worth noting that there is the potential for long-term side effects as well. There isn’t much information about these but if you were to take the supplements over a period of months or even years, it’s easy to see how they could have significant effects. Because of this, you should always pay close attention to the way that your body response and talk to a medical professional if you have any concerns at all. There is a lot of hype surrounding Relacore but relatively little evidence that the supplements, or their ingredients, would actually be effective. Honestly, there isn’t even much evidence that lowering stress would directly decrease belly fat anyway. Sure, it might decrease how much you eat and how much fat you put on but that’s not really the same thing. It also seems very unlikely that the supplements would decrease stress anyway. Even though many people aren’t happy with the product or its performance, there are still a surprising number of positive Relacore reviews on Amazon. This suggests that the supplement may work for some people. But, even then, many of the positive Relacore reviews tend to talk about weight loss, rather than belly fat loss. So, the product probably doesn’t work the way the company implies. From a personal perspective, I wouldn’t recommend any of the Relacore supplements. Medical herbs aren’t necessarily as safe as people tend to assume and there is a significant risk for side effects. At the same time, there really isn’t any evidence that the product does what it claims. When it comes down to it, the most effective way to lose weight and belly fat is the way that everybody already knows. That’s simply to get more exercise, decrease your calorie intake and rely on healthy foods. This can seem like a letdown because who wouldn’t like a fast and easy weight loss solution? Nevertheless, there are still powerful approaches for weight loss out there that are safe and do work. Low carb diets are one example of this, as is ketosis. Likewise, some people turn to intermittent fasting as an interesting and effective alternative. Plus, if you really did want a supplement for weight loss, I suggest going with a fiber supplement or even something like Skinny Fiber. ​That option isn't perfect either but there is more evidence that the supplement plays some role in weight loss.